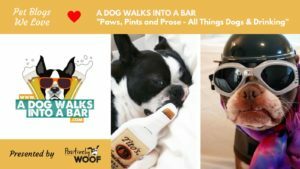 This series, Pet Blogs We Love, was prompted by attendance at a pet-centric conference we attended. Enjoy pet blogs (and pet bloggers) we love! Visit their sites, learn about what they do and the pets they love! Cathy Bendzunas, of the I Love My Chi, blog has a 12-year-old Chihuahua, named Kilo; a 12-year-old American Bulldog/German Shepherd mix, named Buddy; and Roxy a 13-year-old Border Collie/Black Lab mix. Cathy’s Answer: I don’t think there is any particular topic most urgent at the moment. I’m just continually trying to write about the issues Chihuahuas face and how to help them. Q: What, generally, is your blog about? How do you and your blog try to make a difference? A: My blog is about Chihuahuas, their training issues and health problems, cute stories about them and general information. I want my site to be a place where Chihuahua owners can find answers to their questions about their dog and find a community of other Chihuahua enthusiasts. GME: A Deadly Condition You Probably Never Heard Of: I wrote this after a close friend of mine found out her chihuahua had a deadly neurological condition that developed after she was vaccinated. I’m not against vaccines; it’s something our pets need to stay healthy. My issue is with over-vaccination of small dogs. I know there is a lot of controversy about the subject of over-vaccinating, but I have seen this condition develop far too often. Because of the frequency of this occurence in small breed dogs, I am concerned about it and believe there is a connection. A Chihuahua Owner’s Guide To Seizure Disorders: Seizures are something I have dealt with myself with one of my dogs and it tends to be somewhat common in Chihuahuas. After reading this article, many readers have shared the issues their dogs have had and have offered insight and ideas of things that helped their dogs. 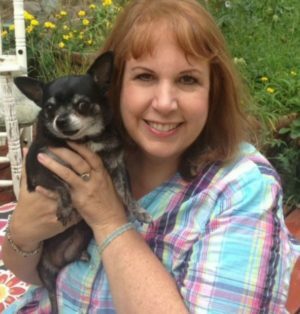 21 Things Never To Say To A Chihuahua Pet Parent: This was a lot of fun to write and seemed to strike a chord with other pet parents of chihuahuas. 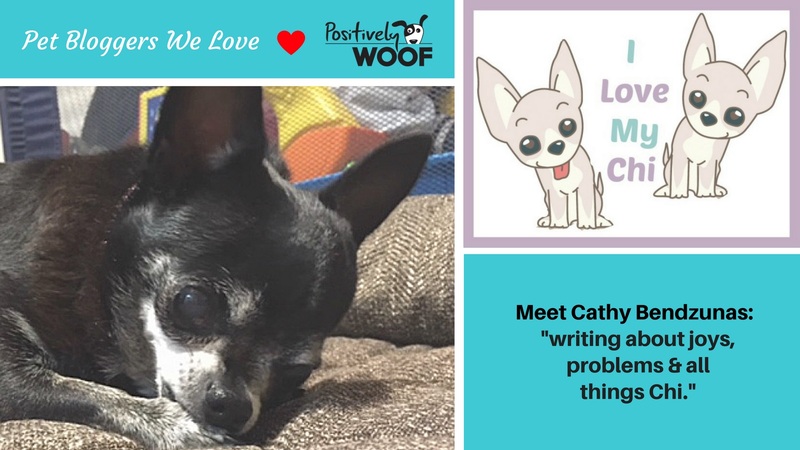 A: I blog because I enjoy writing, and adore animals, (especially dogs) and love the community of fellow chi lovers who I’m immersed in. Although I have three dogs, only one of them is a Chihuahua. I have been around dogs all my life but Kilo is my first Chi. They are very different than other breeds, are often misunderstood and get a bad rap. They are the second most euthanized breed of dog in America, next to pitbulls. I want to be an advocate for the breed. I have been able to help a few homeless chihuahuas find homes and escape euthanasia by broadcasting their plight to my audience and I loved knowing they were saved partly because I spoke out for them. I want to do more of that. And I want to help Chihuahua owners realize just how awesome their little fur kids are.